In La Paz, Bolivia, colorful election graffiti and signs may be found on most available spaces along the winding road that leads upward to the city of El Alto. President Evo Morales, Bolivia's first indigenous president, enjoys overwhelming popularity in La Paz. He is running for a second term in office, courtesy of an article in the country's new constitution approved by referendum in January that allows him to seek re-election. Polls show that Morales is likely to win Sunday's election, which includes voting for both the presidential office and Plurinational Legislative Assembly. 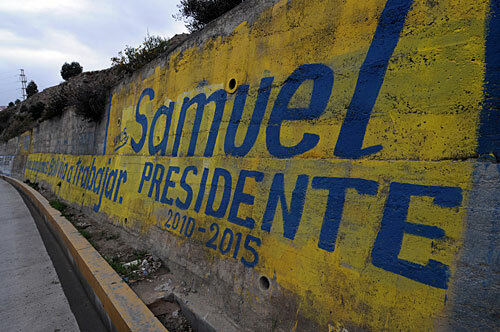 It was difficult during an afternoon drive in La Paz to find a sign anywhere that referenced one of his closest competitors for president, which include former governor and army captain Manfred Reyes Villa and businessman Samuel Doria Medina. 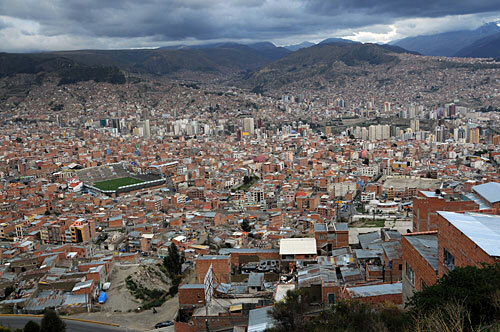 La Paz, Bolivia, as seen from the top of the valley in El Alto. 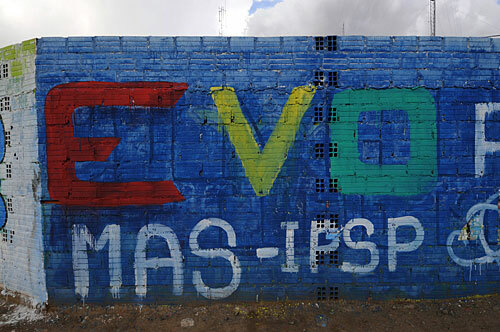 A sign for Evo Morales in La Paz. 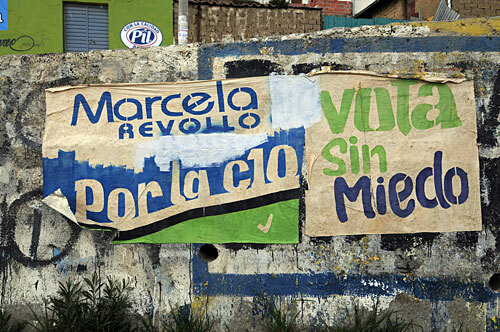 Marcela Revollo is a candidate for the Plurinational Legislative Assembly. The sign says to "vote without fear." We did finally find a presidential candidate sign in La Paz for someone other than Evo Morales. This one is for Samuel Doria Medina, who--according to polls--is third, with approximately 10 percent of the expected vote. Deborah Hakes will blog daily from the Bolivia elections through Dec. 7.